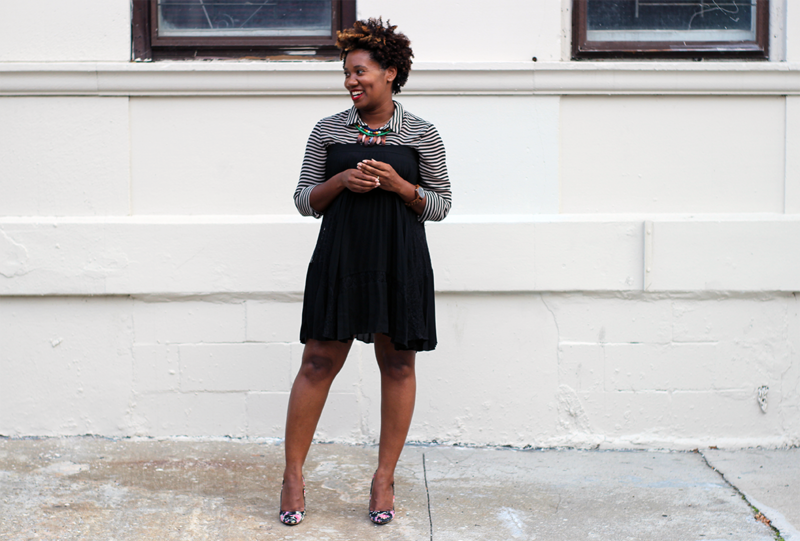 We have a first on Style Studs and Lace this week! 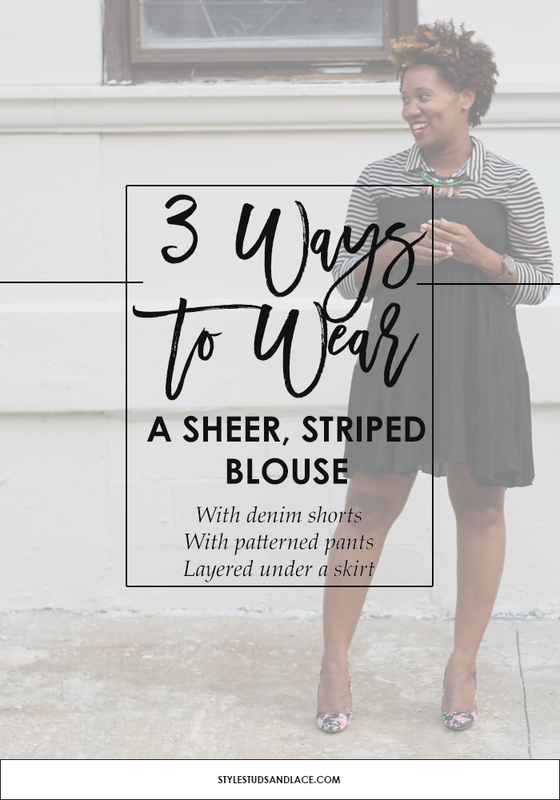 My beautiful guest blogger, Mikaela, is pregnant so we’re not only sharing three ways to wear an item, we’re sharing three ways to wear it if you’re expecting! 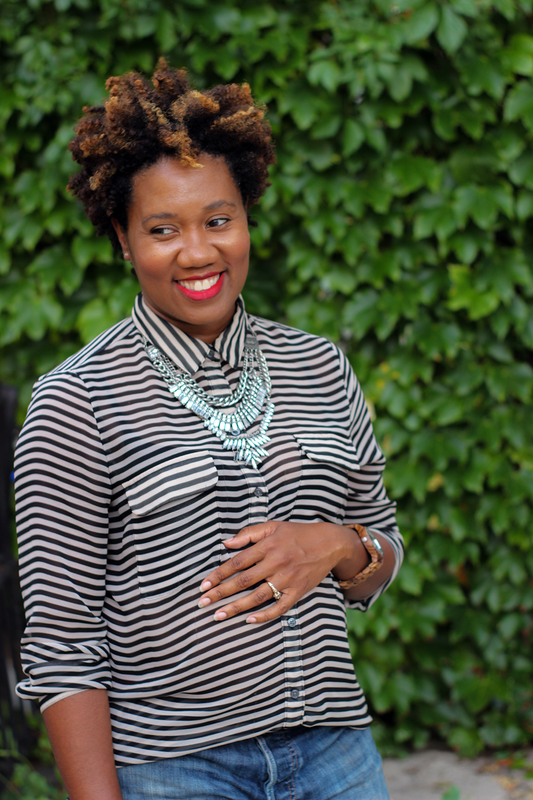 Mikaela is a fellow personal stylist and, like all my guest bloggers, has a strong sense of style and a wonderful creative ability to maximize the potential of every item she purchases. She is a woman after my own heart! 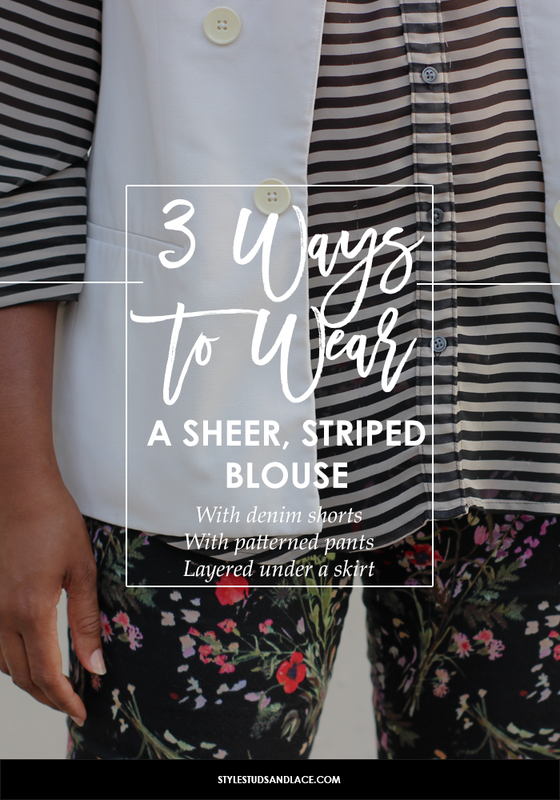 Scroll down to see Mikaela style her striped blouse three ways, and when you’ve finished reading, make sure you pop on over to her Instagram feed and shop for more inspiration! Hi everyone! 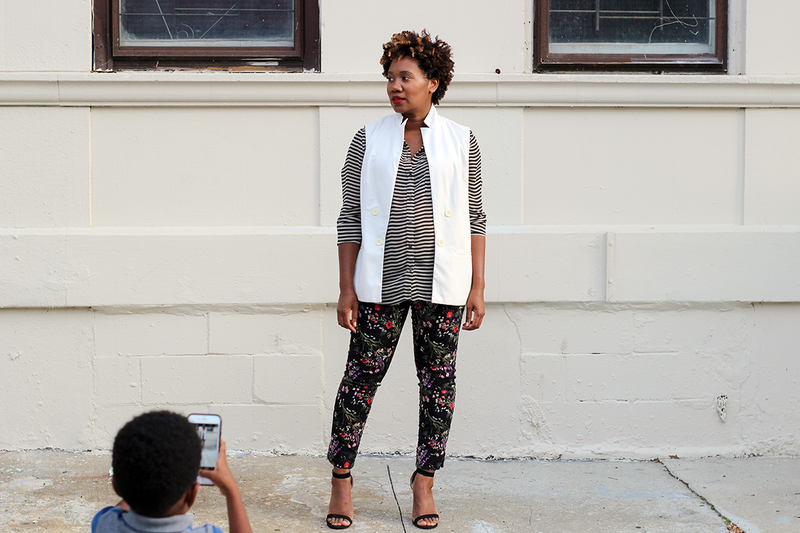 My name is Mikaela Pabon and I am a Personal Stylist, and the Owner/Creative Director of Vêtu de Joy – a print-obsessed online shop, based in Brooklyn, NY. 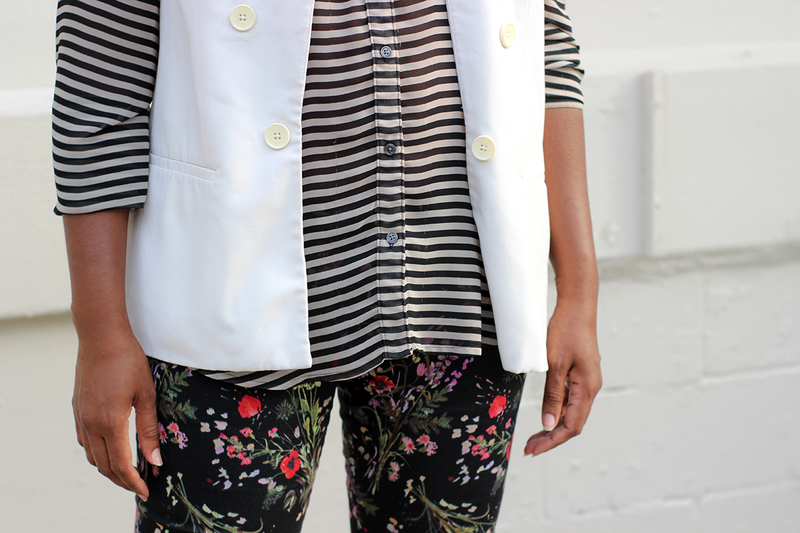 I love wearing color and lots of prints, but I still always shop with multiple outfits in mind. How can I get the most out of this piece? How many different ways can I wear it? What do I have at home that I can wear this with? These things are always floating through my head when I’m shopping for myself or helping others pull together wardrobes. Fun fact: this is something I learned from my father (a man who I’d never seen shop for himself – but always told me to shop with my current closet in mind)! 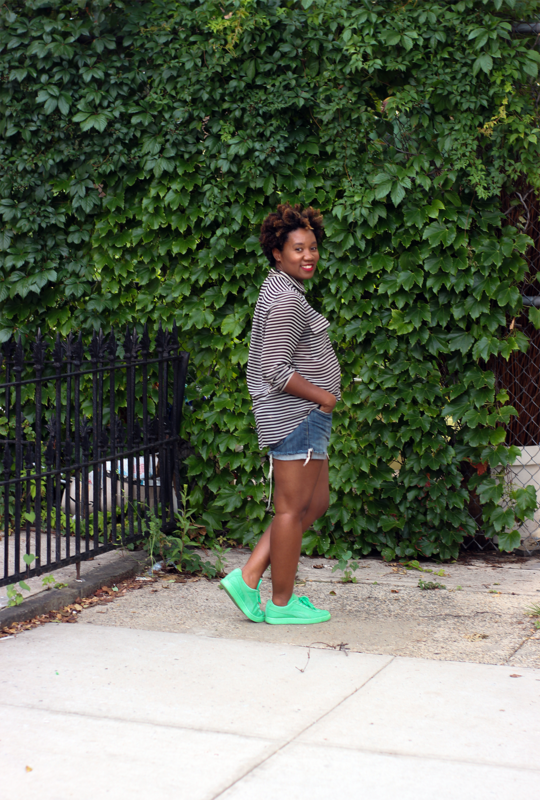 As an expecting mom who is in between maternity clothes and regular clothes, let me tell you – it has been a challenge figuring out what to wear on a daily basis! Not to mention, I’m trying to go as long as possible without having to buy anything maternity. Haha. My style philosophy is quite simple. Only buy/keep/wear things that you love and that bring you joy. That way, when you get dressed every day, you’ll always be Dressed in Joy, and you’ll always feel good! 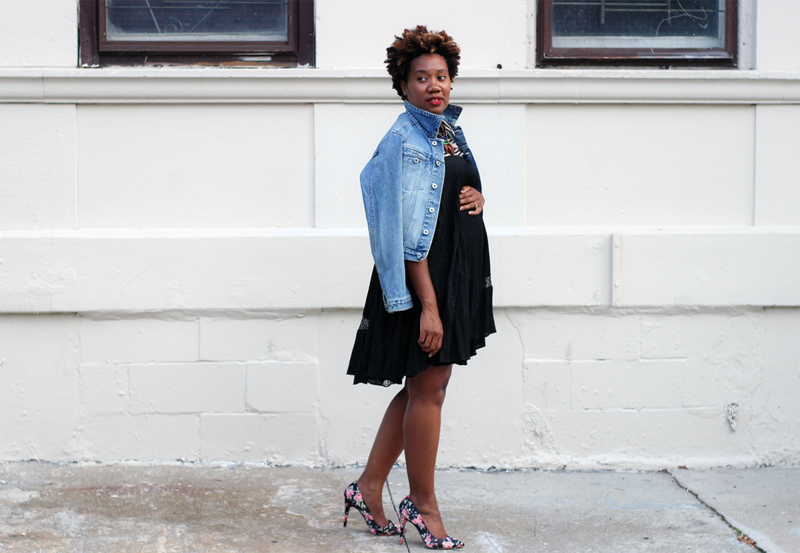 I hope this gives you a little glimpse into my personal style, and a few ideas on how to style your bump if you’re expecting! 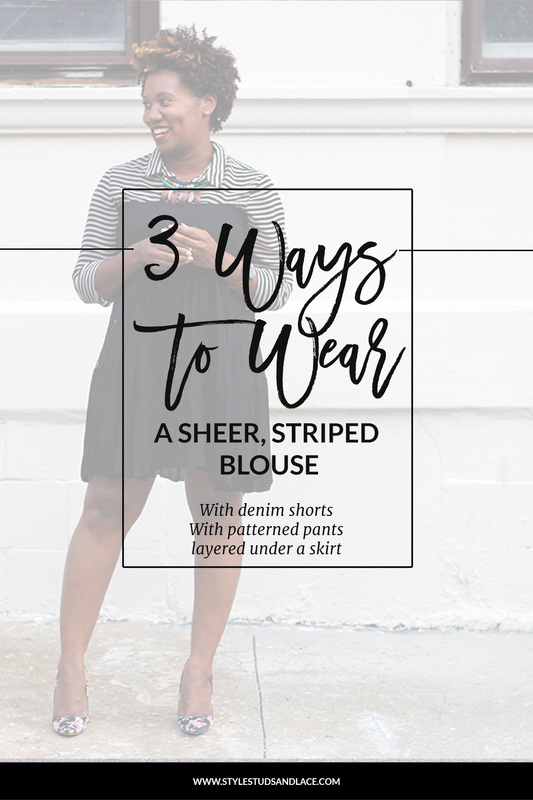 LOOKING FOR MORE OUTFIT INSPIRATION FOR YOUR BLOUSE?